Juventus had an away goal advantage in the second leg clash against Ajax. And they seemed to have all but sealed their place in the semifinals when Cristiano Ronaldo scored the opening goal. However, things turned completely sour for them in the second half as Ajax started dominating, eventually sealing a 2-1 win. The Old Lady even struggled to regain possession and were forced to defend deep when they badly needed at least two goals following Matthijs De Ligt's header in the 67th minute. But it was amply clear that Ronaldo alone was not enough for Juventus to clinch the long-awaited Champions League title. The Portuguese megastar did his best to carry the team by scoring a goal in each leg. However, some horrible defending coupled with many misplaced passes and dispossessions from his teammates cost Juventus dearly. Here, we take a look at three Juventus players who let Ronaldo down massively. The Italian defender has the talent to become one of the top defenders in the future. But the second leg match against Ajax is not yet ready to consistently compete at the biggest stage in Europe. He was directly at fault for both of Ajax's goals. He did not mark Donny Van de Beek properly, which led to the first goal. And he was beaten in an aerial duel against De Ligt for the second. Rugani tried to dribble and go forward on occasion but ended up frustrating his teammates. 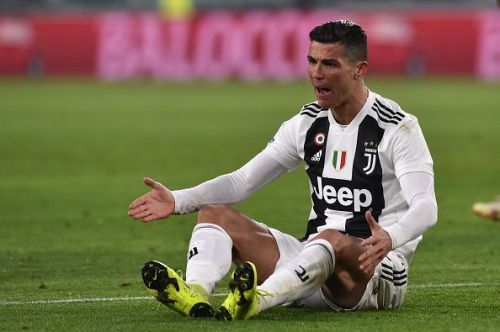 His poor defending is the perfect example of why Ronaldo's offensive prowess alone is not enough to carry Juventus in the Champions League. Had Giorgio Chiellini started the match, the result could have been better for Juventus. Everybody seemed shocked when Massimiliano Allegri decided to start Mattia de Sciglio ahead of Joao Cancelo. The former Inter player has arguably been Ronaldo's best partner at Juventus, and the fullback assisted the 34-year-old for the first leg goal. However, the manager's decision might have been right as Cancelo's poor defending caused a lot of trouble to Juventus yesterday. Ajax immediately got more aggressive and found a lot of space around the Juventus backline after Cancelo came on. Hakim Ziyech even seemed to have scored from Cancelo's side before the referee deemed the Moroccan's goal off-side. The 24-year-old might be excellent at going forward, but he let his teammates down this time. Cancelo's crosses were mostly missed and his passing accuracy stood at a horrific 56 percent. Had Allegri stuck with Sciglio who was better defensively than Cancelo during the match, Juventus might have held Ajax until extra time at least. The Italian winger played the game of his life in second leg match against Atletico in the previous round. He formed a deadly partnership with Ronaldo and Cancelo to tear down the LaLiga side. The former Fiorentina star won the penalty and assisted Ronaldo in carrying Juventus past the round of 16. However, Bernardeschi turned out to be a massive burden for Ronaldo in the clash against Ajax. He was Juventus' worst player as he regularly struggled to stand on his feet. He was dispossessed several times and missed a huge 32 percent of his deliveries. He also offered nothing defensively as he did not register a single tackle or clearance throughout the match. He was virtually doing nothing positive for the team and was replaced by Rodrigo Bentancur in the 80th minute. Perhaps Allegri should also take the blame in this regard, as the manager played Bernardeschi in a central midfield role.